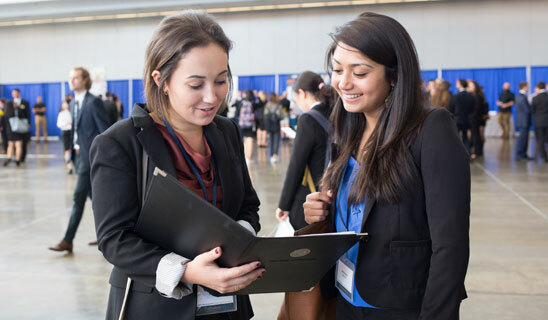 The Pitt Business Career Development Conference is attended by more than 80 world-class organizations that are seeking to hire our students for jobs and internships. Featuring company panel sessions in the morning, a lunch with a keynote speaker, and the afternoon recruitment fair, the Career Development Conference helps take our students From the Classroom, To the City, To the World. View the 2018 Employers’ List. Companies are recruiting for all our Business majors and all academic years. Each spring term Pitt Business holds a recruitment fair for jobs and internships. It is attended by dozens of world-class organizations, providing students with another opportunity to go From the Classroom, To the City, To the World.